As you may already be aware, ITV has recently opened its doors again to a brand-new series of the annual prime time reality show I’m a Celebrity Get Me Out of Here. The show, which has now been running for 18 years, shows recognizable stars battle it out in trials to hopefully become king or queen of the jungle. 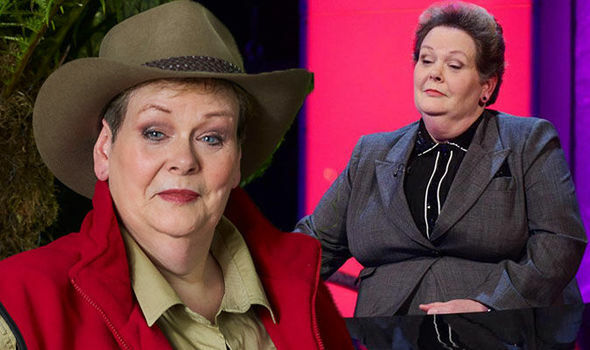 Amongst an eclectic mix of famous faces is The Chase’s very own Anne Hegerty. A quizzing expert, ‘The Governess’ has spoken very openly on the show so far about her experience with Asperger’s Syndrome. This is a condition that can affect social interactions, communication, interests and behaviour – all which will be tested throughout her stay in the camp (not taking into account her participation in trials). On the first episode of the show, Anne was seen to break down in tears whilst attempting to adjust to life in the camp. Having previously stated how her disorder makes her disorganized and because of such she avoids having any visitors in her home, adjusting to living in the jungle with 10 other camp mates was already proving to be a challenge. However, it is a challenge that has the backing of not only the other camp mates but the whole nation. 'We hope this will be the start of better representation of autistic women in the media and help everyone understand the diversity of autism’ - Carol Povey, Director of the National Autistic Society's Centre for Autism. The one thing about Anne is her condition doesn't’t define her - like it shouldn't’t define anyone. People don’t think of The Governess with autism but the Anne that knows nearly everything about everything. It is an attitude that ITV can only hope to reflect to a wider audience whom will hopefully end the show with not just a greater knowledge of the condition but a willingness in their everyday lives to look beyond it and see the person. As the show progresses, I for one can’t wait to see what Anne will achieve.